Today was unintentionally hilly. You see, the incredibly big map of Slovenia I bought before leaving France, being very detailed when it came to including every donkey track in the country, failed completely when it came to telling you how steep a road was. If you are a cyclist you’ll know that this bit of knowledge is pretty valuable. Michelin maps have those great little arrows, telling you how painful the climb will be. Our map – nada. 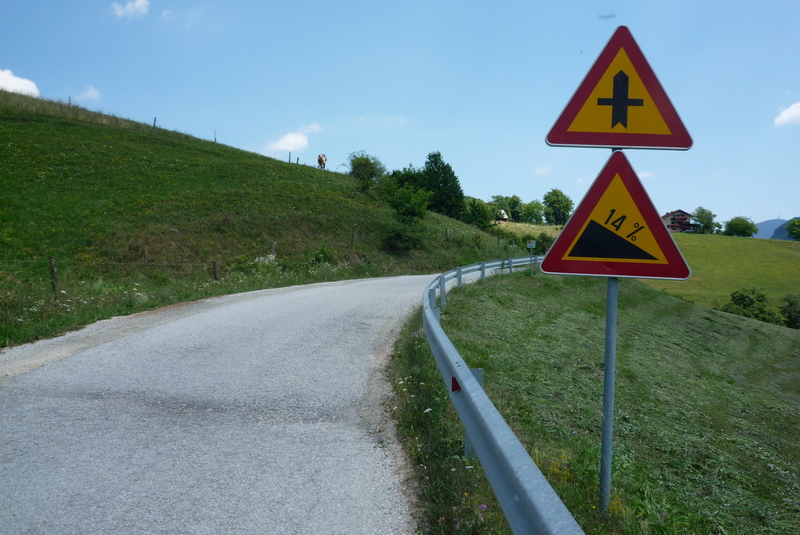 OK, that 2nd one is going down, but it was steep going up as well. There were some nice views to compensate, though. Slovenia is a pretty rich country, if GDP is any indicator. They are something like 94% of Western Europe, which is pretty decent, I’d say. However, there are vast geographical gaps (like most places, I think) and the east, near Hungary, is far worse off than the bits near Italy. Why does this matter? Well, poor localities might mean poor roads, at least that’s what my imagination tells me. 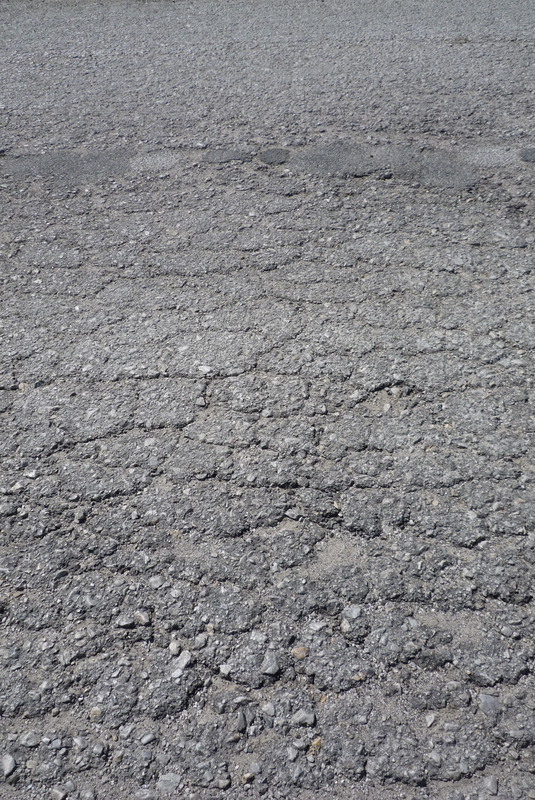 Anyway, someone has forgotten to pave the roads of eastern Slovenia for a long time! 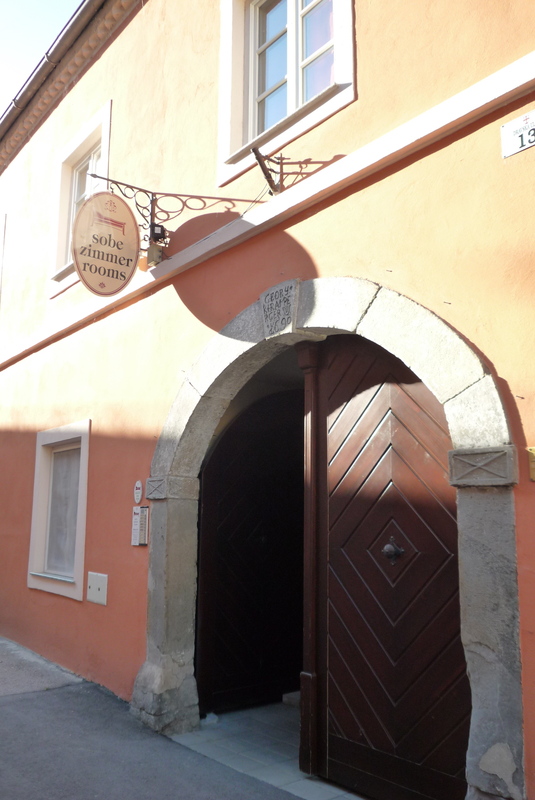 We stayed in Ptuj, the oldest town in Slovenia, and the only place I think I’ve been to that sounds like a bodily function. 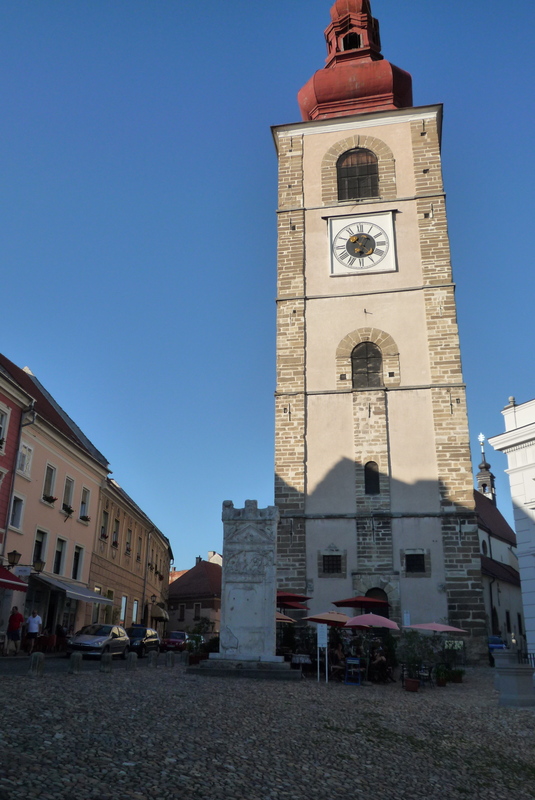 As far as I can tell, Ptuj is pronounce ‘patooey’! But don’t let that turn you off – it is really a lovely town. 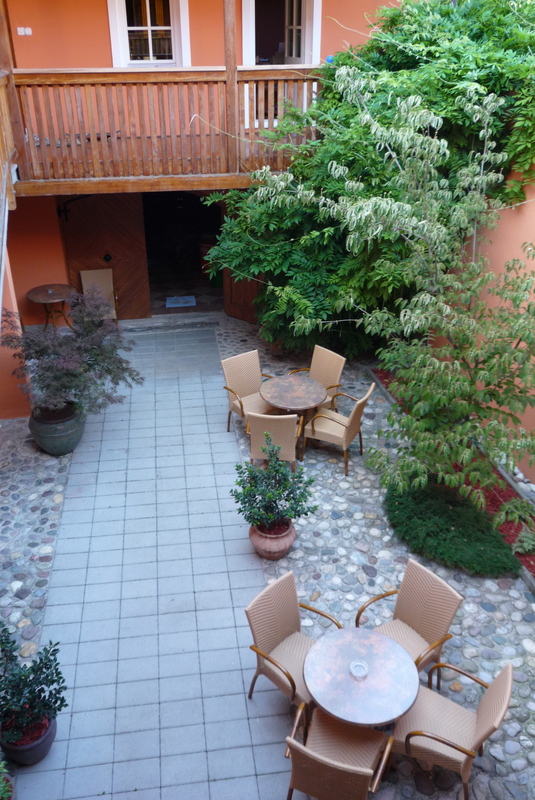 We also booked an excellent guesthouse, that Shoko shot up for her blog. Here are a few of her pictures. 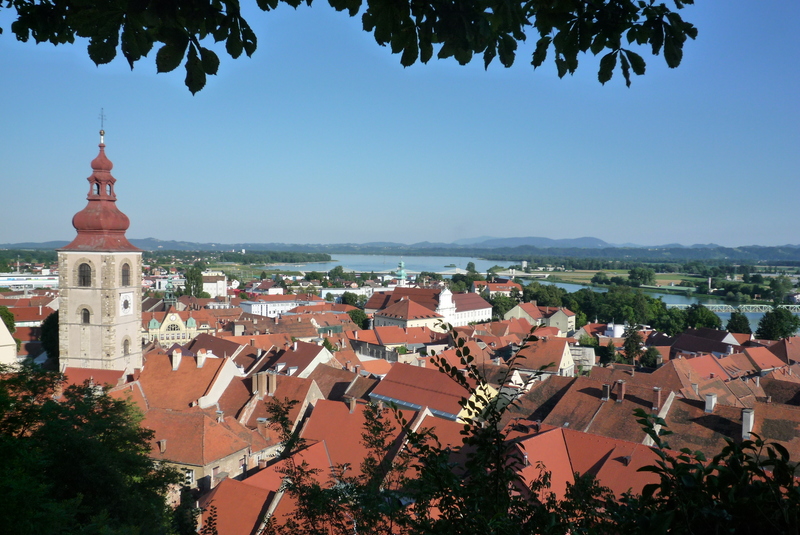 And a couple more of Ptuj itself. 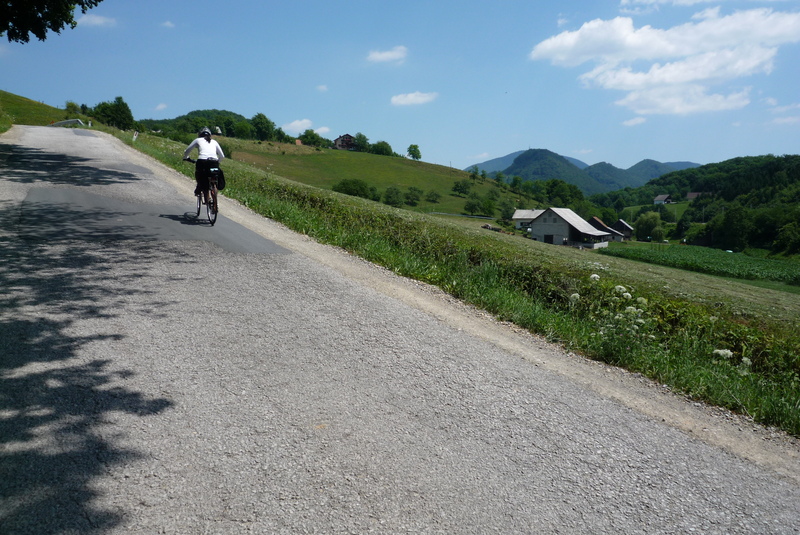 The following day we had mercifully flat roads all the way to the Hungarian border. I’d like to say that since we were going so fast we didn’t think to take many pictures, but the truth is probably that there simply wasn’t much to shoot. 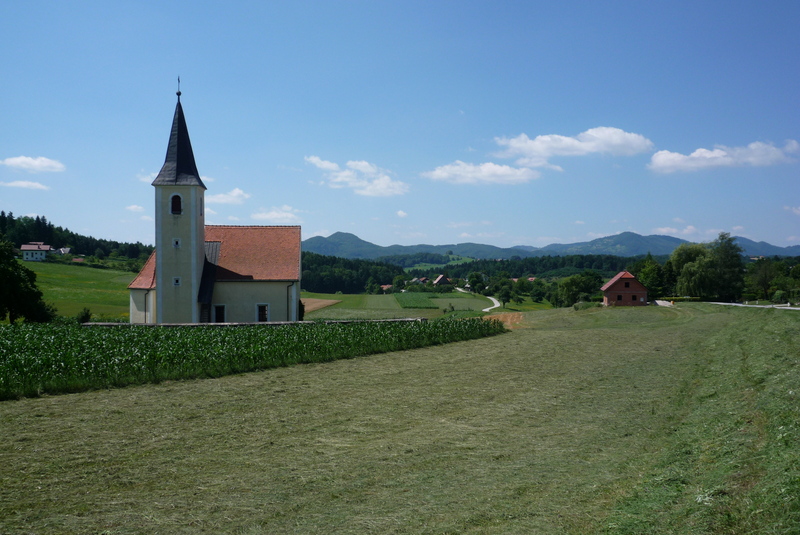 This is one of the hundreds of little church-shaped shrines we saw all over Eastern Europe. And last, a harbinger of things to come. 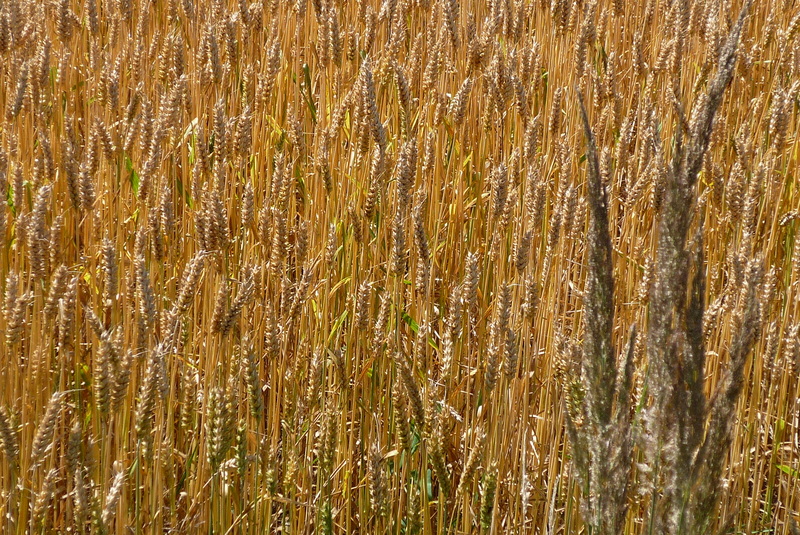 We would be in serious wheat country from now on. 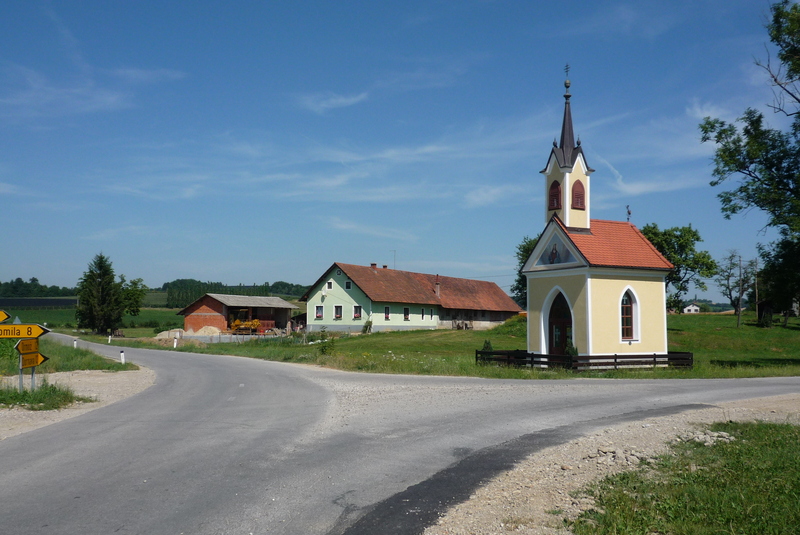 This entry was posted in Cycling, Longer Trips/Flashbacks, Slovenia and tagged cycling slovenia, ptuj, slovenia. Bookmark the permalink.